The United States has always been a gracious host to international students and remains the most desired destination in survey after survey. American universities are increasingly interested in diversifying their student population and are eager to welcome students from overseas for visits. Campus visits have been an important part of the american university selection process. MapMyStudy.com will now provide the same advantage to international students. MapMyStudy.com in partnership with US University Tours commits to provide safe and exciting travel opportunities for students, teens, teachers and chaperones. Working with educators nationwide, we've introduced thousands of students to the world of educational travel combined with rich cultural experiences offered within the destination of choice. We hope to awaken and encourage the gift of learning that results through travel. 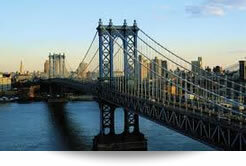 Each US University tour is fully insured and is guided by a professional tour manager. Tours are on modern, well-equipped motor coaches, fully licensed to operate in each state. All tour personnel have mobile communications and our headquarters has 24/7 live operator, on-call company customer service. Each tour follows a well-mapped travel plan with a Crisis Management Plan (CMP) in place.